In Release 14 when you type BHATCH at the command prompt, the following dialog box appears. Once you make your selections and picks, you click on the Preview Hatch button to see the changes. 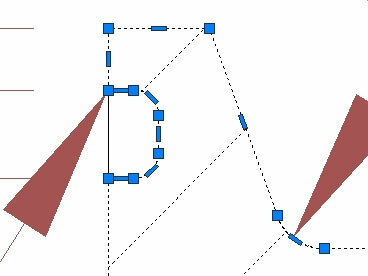 In the Boundary Hatch dialog box in AutoCAD Release 14, you make your selections and then press Preview to see how it all looks. 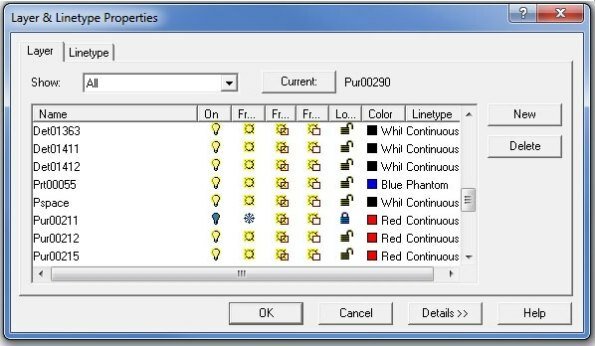 In AutoCAD 2015 when you enter the command, the Ribbon switches to the Hatch Creation tab where you can easily access all of your settings (you can also set HPDLGMODE to 1 to display a dialog box). As you make changes, updates dynamically appear as you make them so there is no need to go back and forth to preview your changes. Rawrrr! This is a definite improvement. 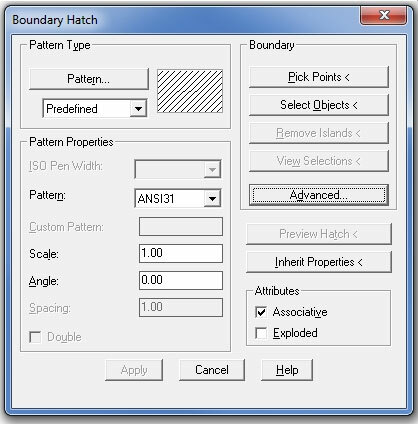 In AutoCAD 2015, updates are made to your hatch patterns as you choose them in the Ribbon (or dialog box). But wait, there’s more. In Release 14, once you create your hatch, if and when your underlying geometry changes (you just know it will), you must rebuild your hatch almost from scratch. So, you think you're going to grip edit a Release 14 hatch? Nope. Think again, Little Dino. You cannot grip edit a hatch in AutoCAD Release 14. But in AutoCAD 2015, you can. 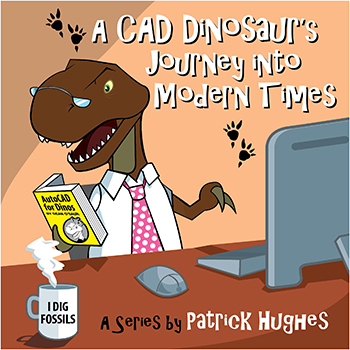 What about in an AutoCAD 2015 hatch? Yes, in AutoCAD 2015, you can zoom in to see fine details that can be easily updated by grip editing. Usually hatching updates as you go in AutoCAD 2015, although in this example below, it didn't. I'll need to dig deeper to figure out why. 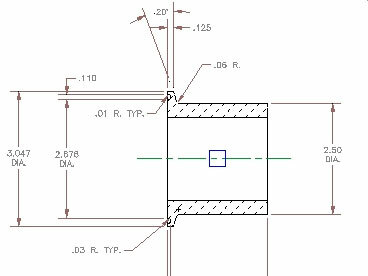 For some reason this hatch didn't update as I stretched some geometry in AutoCAD 2015 — I’ll need to dig a little deeper to figure out why. In general, I like that for some modifications I don’t need to recreate the whole hatch. Granted, there may be times when recreating the hatch is the easiest solution if numerous changes are needed. 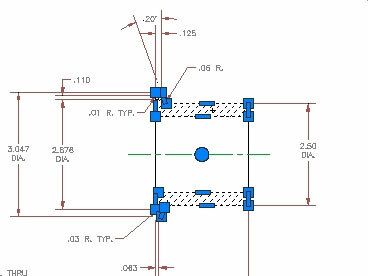 Oh, before I forget (remember my walnut-sized brain), I also much prefer the more defined solid-filled grips in AutoCAD 2015. Release 14's Layer dialog box is fairly simple. I’ve grown accustomed to keeping the AutoCAD 2015 Layer Properties Manager on screen at all times. It makes quick work out of making adjustments to my layers. Unlike the Release 14 Layers dialog box, AutoCAD 2015 lets you to resize the window. AutoCAD 2015's Layer Properties dialog box makes it easy to adjust layers. Oh my! Here’s something new. Transparency — this is handy whenever viewing in Conceptual, my new favorite fancy view style. I noticed under Object Properties (which I also keep on screen) that objects have transparency as well. Normally I set this to BYLAYER, but it’s good to be able to adjust each object independently. Within the Content Manager there is easy access to filtering capabilities which I’ve yet to put to use. I generally use my trusty old AutoLISP routines for filtering, but I can see where I can make good use of these tools, especially when dealing with sub-assemblies. The Laywalk command (dialog box) has been around since Release 2007, but it’s a new tool to me. This useful tool dynamically displays layers as you select them either individually or as multiples. I’ve used it a number of times and the only drawback with it is that the dialog box must be closed to work with displayed objects. There are numerous new layer tools — I will delve more into them and report back to you once I learn more. In closing, as I work with AutoCAD 2015, I find that I’m able to keep things as simple as I like. However, there are times that when it's important to make a more professional-looking drawing and it’s good to know I can easily I can do so. When I first learned to draft on the drawing board as a wee T-Rex, I learned to use lineweights to make the drawing “pop." Over the years working only on CAD, I’ve let those drafting techniques lapse. It’s time for me to ratchet things up and make my drawings a bit prettier (says the ugliest dinosaur in the room).